Food. In our daily lives it can be a hassle to plan and make those meals, making sure we balance the right amount of meat with vegetables, and wine with water, so when we go on vacation, we often let loose. Gaining weight on a trip doesn’t really come as a surprise anymore, if anything a few pounds are expected. But food isn’t only being consumed on vacations, it’s driving the decision to travel. Places like Charleston, New Orleans, St. Louis, Chicago, Portland are foodie hotspots with their unique offerings. 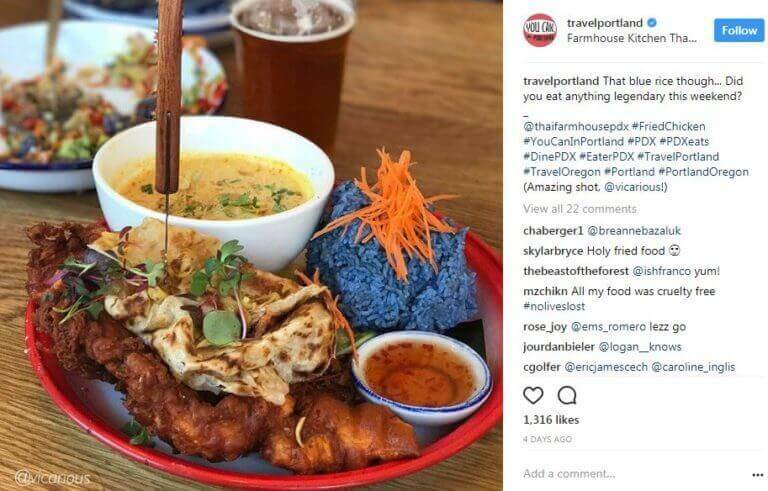 Portland takes food tourism to a whole other level. This dish from Farmhouse Kitchen Thai Cuisine is an adventure all in itself. 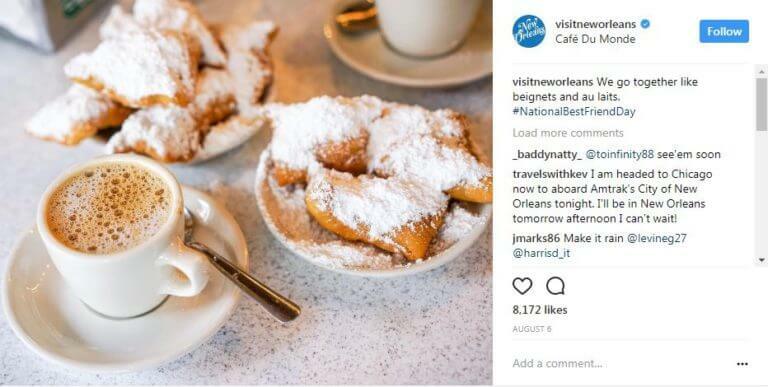 Where better to have beignets than New Orleans? Sugar-topped deliciousness with some coffee from Café Du Monde. Sign us up. 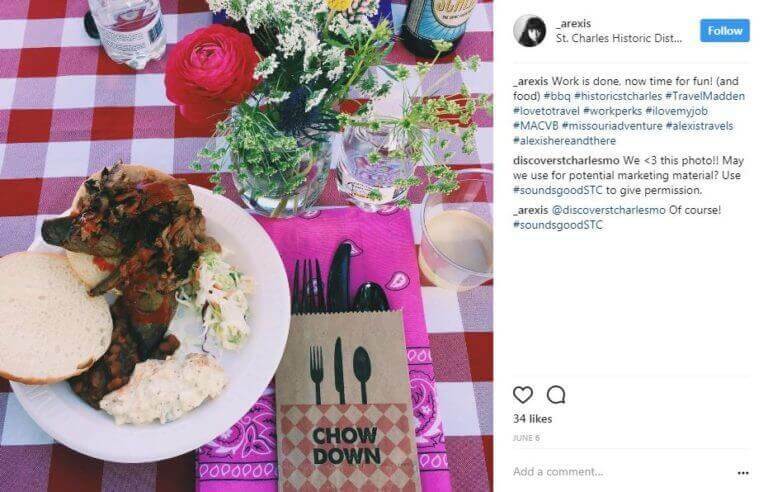 One of our employees recently traveled to St. Louis for business and stopped for a bite in the St. Charles Historic District. Are you drooling? Because we are. Here in Tucson we’ve got Sonoran Dogs, prickly pear, and so much more to thrill the taste buds of visitors. What kind of unique dishes catch your eye when thinking about traveling? 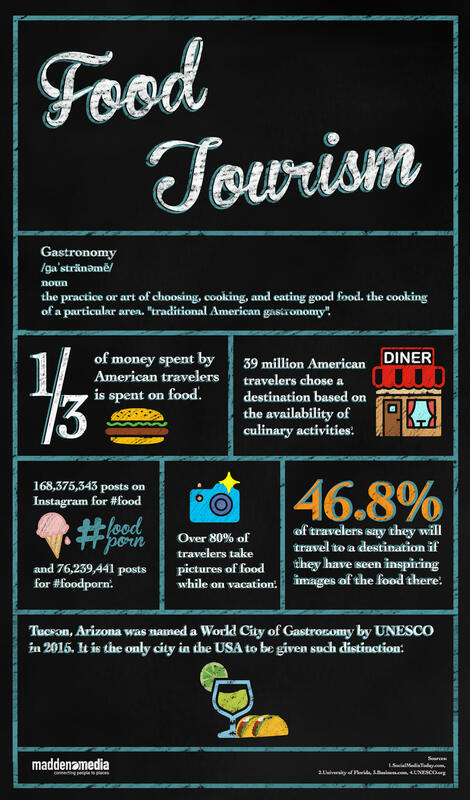 Learn more about food tourism.